Few vehicles have achieved the success and garnered the fame that the Ford Mustang has. With over 50 years of history behind it, Team Ford has decided to transcribe the history of the legendary Mustang in celebration of the release of the 2018 Mustang this year! The original Mustang is a legend thanks to its combination of performance, style, and affordability. The original asking price was just $2,368 (USD) and power ranged from 101hp with the 2.8L inline 6 to 271hp with the 4.7L Windsor V8. The original Mustang was a wild success, and sold over a million units in its first 18 months. Built just before the 1973 oil crisis, the Mustang was based on the Ford Pinto platform and was designed more for fuel economy than performance. As such, power was minimal and ranged from just 88hp to a rather dismal 140hp from its 4.9L V8. Nevertheless, sales were still strong with over 1.1 million sold during its model run. The 3rd generation Mustang, known more commonly as the “Fox-body”, was a return to form with the vehicle’s emphasis once again placed on affordable performance. Interestingly, this was also the first Mustang to use a turbocharged engine – the 2.3L turbocharged four-cylinder engine was available starting in 1979. For the 4th generation, a modified Fox-body platform was used but the styling was heavily overhauled. Performance also greatly increased, and a number of special editions were produced including the supercharged “Terminator” Mustang in 2003 – 2004, and the radical track-focused 2000 SVT Mustang Cobra R.
Featuring an all-new platform and revamped “retro-futurism” styling, the 5th generation Mustang was a smash hit with almost 161,000 units sold in the first year alone. Performance also greatly increased during this generation, with special variants like the Shelby GT500 producing an incredible 662hp from its supercharged 5.8L V8 engine. The current generation Mustang has dropped the “retro-futurism” styling in exchange for a thoroughly modern look. The new Mustang also includes fully-independent rear suspension (a first for standard-production Mustang) and is the first Mustang to be sold overseas in a RHD configuration.  Team Ford is proud to carry this latest Mustang in our New Vehicle Inventory, so you can experience the beauty and power that the quintessential pony car holds.